My Microbiology class from the summer - all four of us. 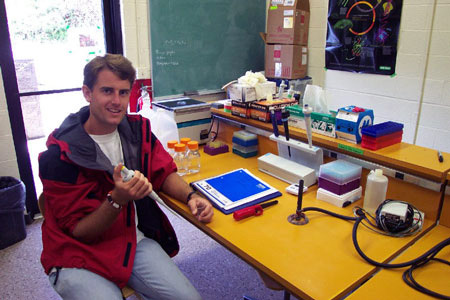 My lab bench. Since there were only four of us, we each got a large, well equipped bench space. Me after a summer cooped up in the lab. 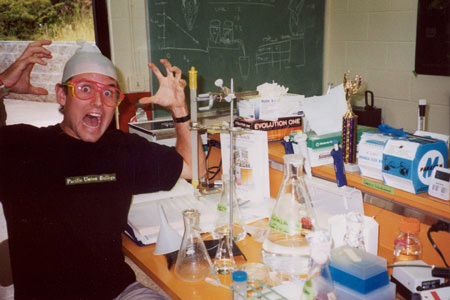 Notice the lab bench is much messier and the lab worker much crazier. Some genetically altered E. coli bacteria from my project this summer. The purple background is an ultraviolet light, and each dot is a colony of bacteria. 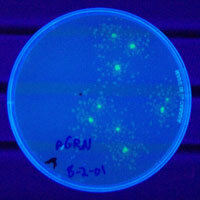 Some of the colonies contain a gene which produces green fluorescent protein, which makes them look brighter. The fluorescent bacteria in the dish on the right also contain a gene that makes them resistant to ampicillin, an antibiotic. 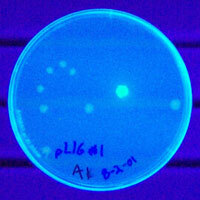 The ampicillin resistance is leaking out and allowing the non-fluorescent colonies to grow. The non-fluorescent colonies on the left contain a gene that makes them bioluminescent, which means they glow in the dark. Pretty neat, huh. 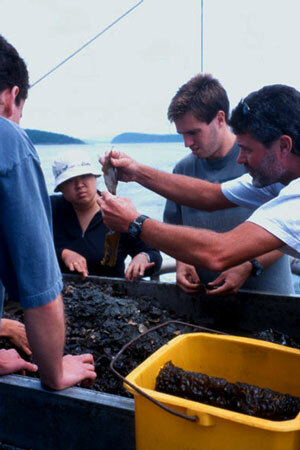 Rob Fitch, my phycology teacher, showing off some algae on a field trip. 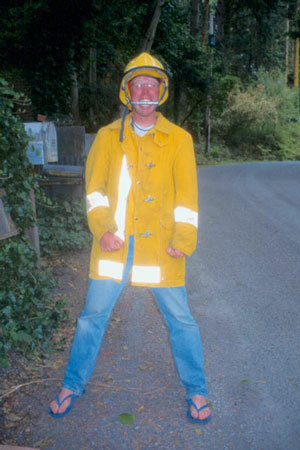 Hans, my roommate, wearing his fire coat and helmet for July 4 celebrations. 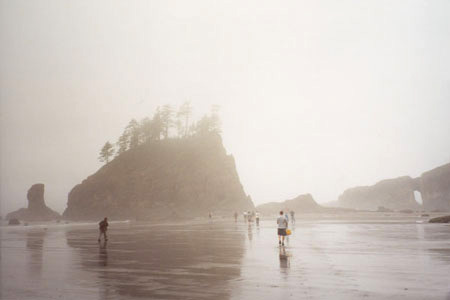 For phycology class we went to the open coast on the Olympic Penninsula and collected seaweed. 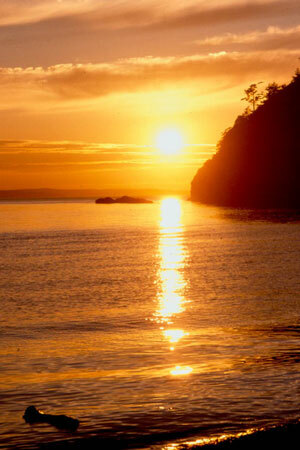 As Joe Galusha would say, "Just another average day."